Scott Keogh, president of Audi of America, introduces the 2018 Audi SQ5 at the 2017 Detroit show. Audi is joining rivals Mercedes and BMW and pulling out of the annual Detroit auto show. Audi will skip the 2019 Detroit auto show, joining luxury rivals BMW and Mercedes-Benz on the sidelines of the January even in Detroit. In a statement, Audi said the brand "has had a long and successful history at NAIAS, debuting countless models that Audi customers enjoy today. For 2019, we have decided that we will not participate in NAIAS. We will continue to evaluate Auto Shows on a case by case basis relative to the timing of our product introductions and the value the show brings from a media and consumer perspective." BMW and Mercedes previously said they would skip the 2019 Detroit show, which has been pressured in recent years by competition from the much larger CES (formerly known as the Consumer Electronics Show) in Las Vegas. Because of its larger venue and bigger crowds, automakers have benefited from its prominent platform to launch new vehicles. Audi's Detroit decision is part of a troubling trend for auto shows globally as automakers cast a critical eye toward the events, where they must compete side by side for media attention for their important products. In recent years, Mazda, Mini, Volvo, Porsche, Mitsubishi, Jaguar and Land Rover have also pulled out of the Detroit auto show, citing costs or the decision to reallocate marketing outlays. A spokesman for the Detroit Auto Dealers Association, which organizes the Detroit auto show, said Thursday plans are well underway to revolutionize the event and provide participating companies "a global stage that delivers cost-effective opportunities to audiences" that "only Detroit" can offer. "In meetings that have occurred around the world with participating brands, the show has been privy to some insights on significant product and industry news that has been earmarked for Detroit for the 2019 show," the spokesman said. 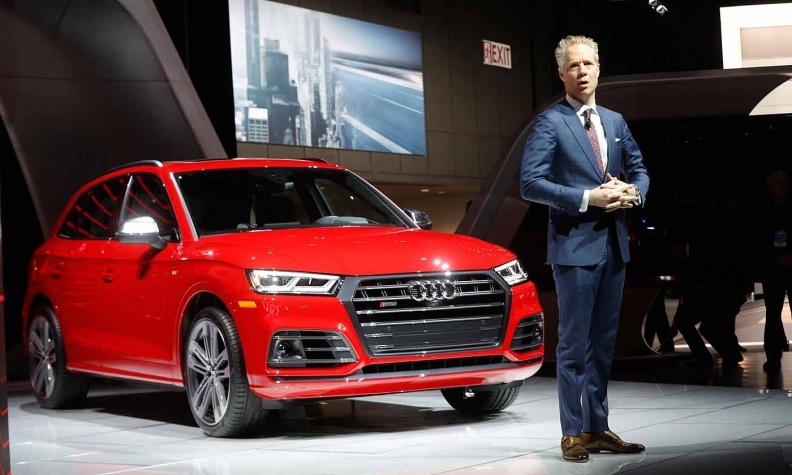 Audi, part of the Volkswagen Group, has been a mainstay of the Detroit auto show, especially as the brand's sales in the U.S. have grown over the past decade. It chose the Detroit show in 2017 for the global debut of its Q8 crossover concept, which is due this year. A spokesman for the Volkswagen brand said it still plans to participate in the 2019 show. Jeri Ward, a spokeswoman for Audi of America, said the brand would continue to participate in the Los Angeles and New York auto shows in the upcoming year. She said Audi planned to inform its local dealers of the decision Thursday afternoon.